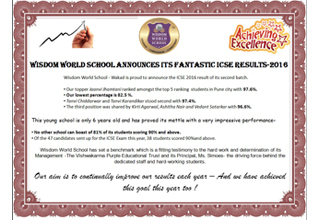 FANTASTIC ICSE RESULTS-2016 :- Wisdom World School Wakad is proud to announce the ICSE 2016 result of its second batch. 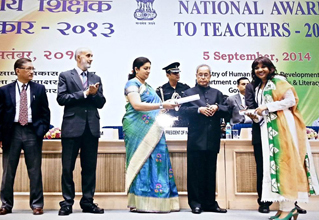 Our topper Jaanvi Jhamtani ranked amongst the top 5 ranking students in Pune city with 97.6% . Our lowest percentage is 82.5 %. 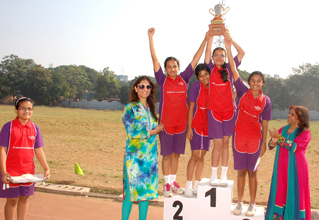 Tanvi Chiddarwar and Tanvi Karandikar stood second with 97.4%. 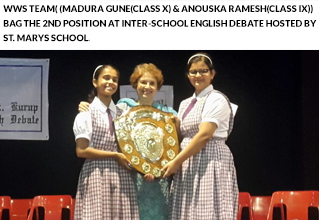 The third position was shared by Kirti Agarwal, Ashitha Nair and Vedant Satarkar with 96.6%. 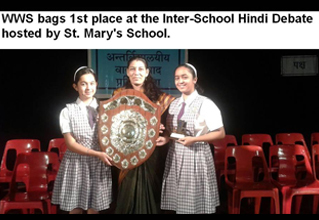 This young school is only 6 years old and has proved its mettle with a very impressive performance- No other school can boast of 81% of its students scoring 90% and above. Of the 47 candidates sent up for the ICSE Exam this year, 38 students scored 90%and above. 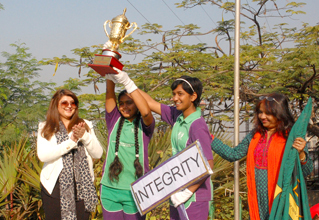 Wisdom World School has set a benchmark which is a fitting testimony to the hard work and determination of its Management The Vishwakarma Purple Educational Trust and its Principal, Ms. Simoes- the driving force behind the dedicated staff and hard-working students. 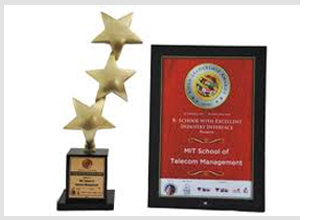 Our aim is only to better our previous performance-which we have done this year!
" 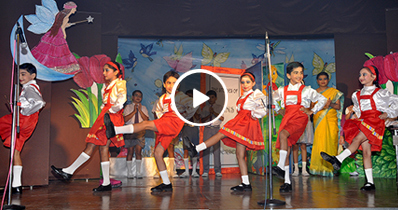 WISDOM WORLD SCHOOL HADAPSAR. "